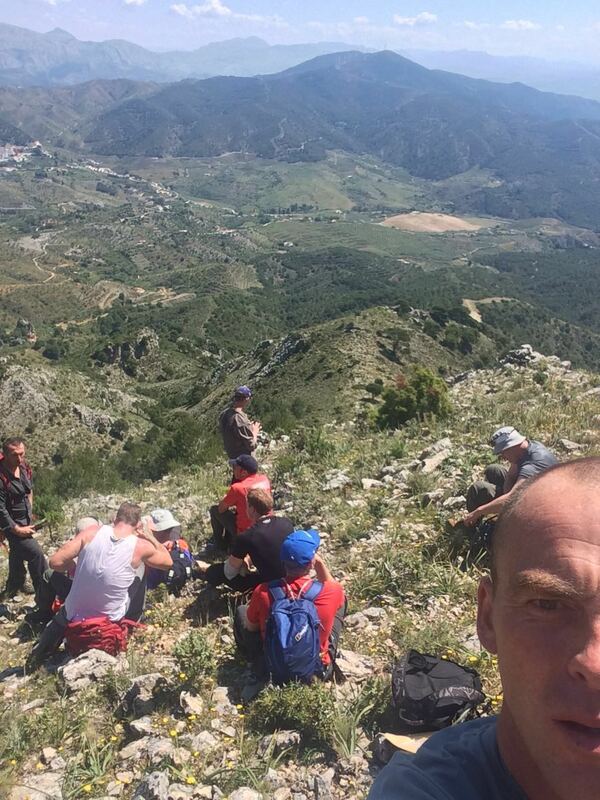 Exercise Ubique Finn (ID 02005) took place in the mountain regions north of Malaga between 14th-21st May 2016. Taking part in the exercise where 17 reserve troops from 71 Engineer Regiment comprising of personal from 102 (Paisley), 124 (Edinburgh) and 591 (Bangor) Squadrons. The pasty white Celtic troops travelled from Northern Ireland and Scotland with their hearts set on sunshine and the swimming pool. 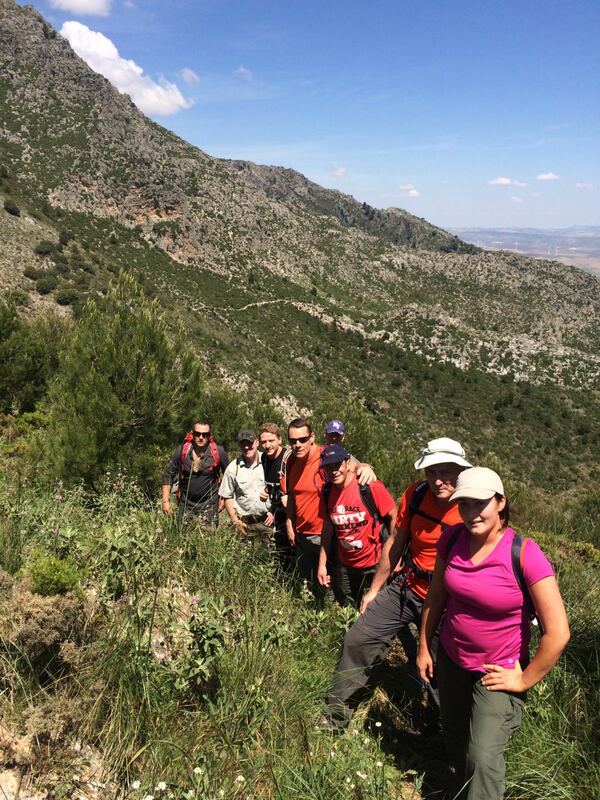 The aim of the exercise was to conduct level 3 adventure training (AT) in Spain in a challenging and arduous environment. This would be achieved by 3 AT activities comprising of mountain biking, mountaineering and rock climbing with a view of testing and developing each individual’s leadership and physical robustness. The group was staying in a 17 bed villa on the outskirts of Pizzarra (a lovely quaint Spanish town). With no chef, mother or housemaid on site individuals would have to cook, wash and clean as part of groups to ensure they could get ready for the events that lay ahead each day. 1 hour after reaching the accommodation soon washed away the cobwebs from the 3 hour flight by taking part in a 5 mile acclimatization hike. They then wanted to hide from the sunshine and could only wish they were in a swimming pool. With a shock to the system this let individuals understand the demanding environment and the general surroundings they were working in over the next 6 days. The individuals where broken down into 3 groups with a team leader and a programme that would see them complete 2 days of each activity. The 1st day on each activity was an introduction day that was set at different levels to equal the ability of the group. The 2nd day was then a more intense and challenging day where the individuals were able to put into practise and test the skills learnt over the previous days. The area of El Chorro is glorious and saw the climbers climb grade 3-6 on 17 different climbs, a challenge that some flourished in and some understood what leg twitching was all about. The Ardales Lake District saw the mountain biking complete distances ranging from 18 to 30 miles and up to 1 in 8 gradient slops. 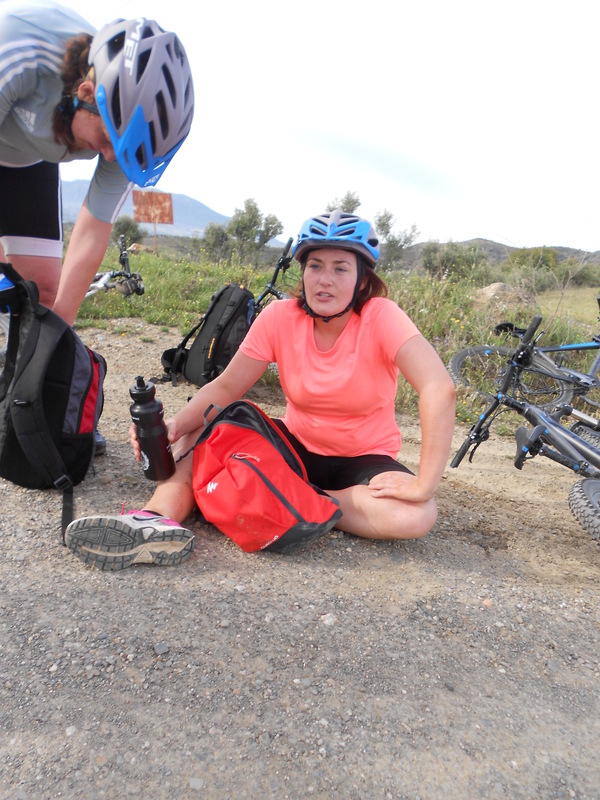 Some would consider the biking to be mountaineering and the request of oxygen was asked for on many occasions. However the mountaineering did take place in the nearby mountains and hilltops off Casarabonela, covering 15 to 22 kilometres with heights of over 1500 metres climbed or in some cases conquered. Each group faced similar challenges ranging from fitness levels, abilities and experiences to individuals overcoming personal fears such as heights and speed. A sense of achievement was felt each day and at the end of a very exhausting week the troops all believed that they had gained or improved their confidence, knowledge and leadership skills within a very challenging environment. The quote of the week must be “well did you enjoy that?” answer “enjoyable sir, but emotional”. Can I stop here please? This is no place to have lunch!